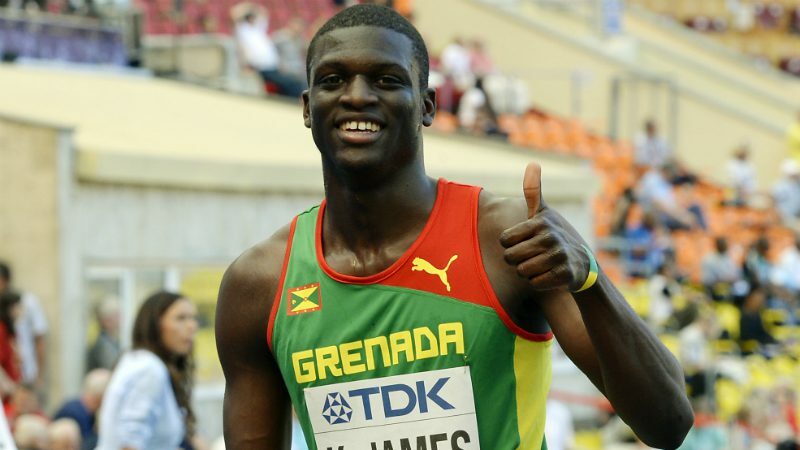 GEORGETOWN, Guyana — Kirani James will continue his return from injury when he lines up in the men’s 400m dash at the 2018 Aliann Pompey Invitational in Guyana, this coming weekend (30) at Leonora Track and Field Centre. James, the 2012 Olympic champion from London, is set to make his first showing in Guyana, and his second appearance of the season. He opened his season with a winning performance at the 2018 JN Racers Grand Prix, earlier this month. The quarter-miler from Grenada has a season best of 44.35 seconds, his fastest time since 2016, after his season was cut short last year due to injury. The 25-year-old is hoping to continue his progress towards full recovery ahead of next year’s IAAF World Championships where he will be aiming to add to the gold he won in 2011 and the bronze in 2015. James owns a personal best of 43.74 seconds, set in Lausanne in July 2014, which puts him at No. 10 on the World All-time list. Chidi Okezie of Nigeria is expected to be James’ closest rival, but he would need to lower his lifetime best significantly if he wants to share the same camera frame with the Grenadian. Okezie, 24, holds a personal best of 45.76 seconds, but his quickest this season is 45.84. Leading the chargers for Guyana is national record holder Winston George, who has a personal best of 45.16 secs, but is still searching for his first sub-46 seconds performance of the season. Stephan James, Arinze Chance and 18-year-old Daniel Williams, who is seeking a World U-20 Championships qualification, are also listed among the entries. The Aliann Pompey Invitational, which is the third edition this season, is the top international track and field meeting in Guyana. For more information visit here Follow TrackAlerts.com for updates and results.